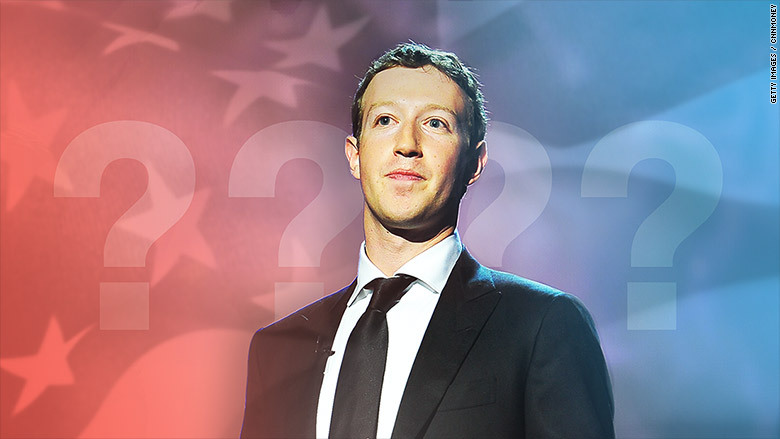 Will Mark Zuckerberg run for political office? When a public figure hires a top political campaign manager and announces plans to tour the country, you assume he or she plans to run for office. But what if that person is Mark Zuckerberg? That's the question percolating in tech and media circles in recent days. The Facebook (FB) CEO announced this week he has hired David Plouffe, Barack Obama's former campaign manager, to head policy and advocacy efforts at his philanthropic effort. The high-profile politico's appointment came just days after Zuckerberg unveiled his New Year's resolution to meet with people from every state in the U.S.
"After a tumultuous last year, my hope for this challenge is to get out and talk to more people about how they're living, working and thinking about the future," Zuckerberg wrote in a post, sounding curiously like a politician. If all that wasn't enough, Facebook recently confirmed Zuckerberg can serve in government indefinitely while running the company as long as he owns enough stock. These would normally be clear signals someone is gearing up for a political campaign, according to Bradley Tusk, a regulatory adviser for tech companies and former campaign manager for Michael Bloomberg. Yet Tusk think this probably isn't true for Zuckerberg because most political offices would be a step down for him. "He has so much power and influence, both through his platform and his wealth, that there are really only a handful of jobs that could conceivably even be worth his time," says Tusk. The short list of tempting political offices, according to Tusk, would include Senate majority leader, speaker of the House and, of course, president of the United States. Zuckerberg will be 36 in 2020, just barely old enough to legally serve as president. Apart from the age issue, Tusk questions whether the tech executive has the "temperament and personality" to wage a successful presidential campaign. Others who've worked closely with Zuckerberg agree it's unlikely he'd put himself in that position. "He's a relatively reserved individual and doesn't seek nor thrive off public adulation and attention the way a natural political would," says Ezra Callahan, one of Facebook's first employees who worked there until 2010. "I'd be surprised if he found the political world appealing at all in that sense." Beyond that, Callahan doubts Zuckerberg is ready to put any public office ahead of Facebook. "I think he'd say that he can have far more positive impact on the world focusing on his work at Facebook," Callahan says. "He profoundly believes in the inherent goodness of the company's work." 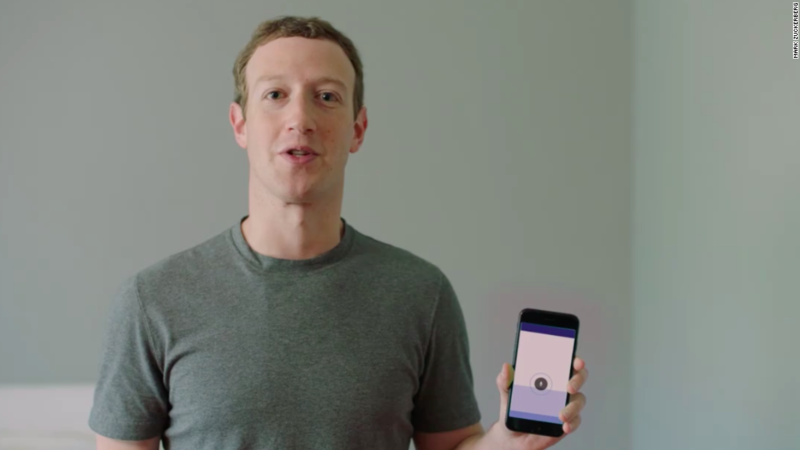 Rather than angle for public office, Zuckerberg appears to be modeling himself off one of his childhood heroes, Bill Gates. The Microsoft (MSFT) founder has used his wealth for the public good while still working with Microsoft in various roles. "I like my current job at the Foundation better than I would being President. Also I wouldn't be good at doing what you need to do to get elected," Gates said in a Reddit AMA last year. The explanation could just as easily be offered by Zuckerberg. Reps for Facebook did not respond to a request for comment. The most likely politician in Facebook's C-Suite is COO Sheryl Sandberg. "My greatest fear in my last couple years at the company was that she would decide to leave to run for one of California's senate seats," says Callahan. During the presidential campaign, Sandberg was rumored to be on the short list to serve in Hillary Clinton's cabinet as Treasury Secretary.